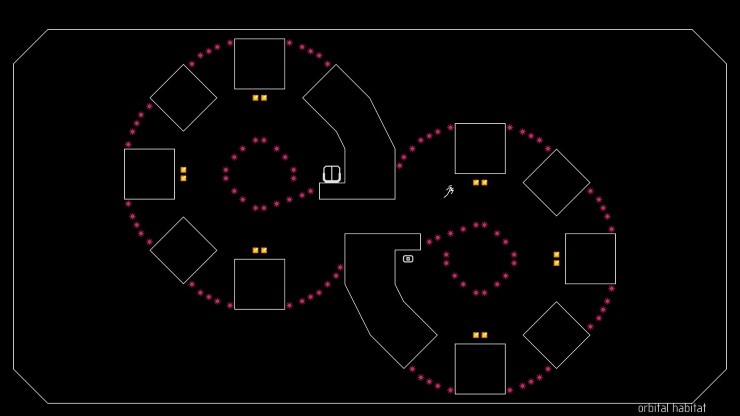 N++ is platforming refined, distilled into its very purest form. 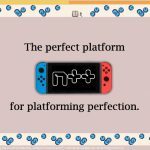 By the time you’ve completed the tutorial stages you’ll intimately know the relationship between the pressing the cross button and how far the corresponding leap will take you, factoring in your current speed and direction; all without thought. The seconds before you start a level will see you subconsciously plan your route, working out which ramps you can launch yourself off, which walls you can use to break your fall, and how to avoid the myriad enemies that stand in your way. 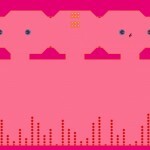 Put simply, N++ is platforming heaven. 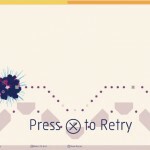 All you have at your disposal is the jump button to make it through the levels. Sensitive as it is – with firmer presses meaning longer leaps – allowing you precise control, the environment plays a vital role in how you approach each stage. You can wall jump, bouncing left and right to gain height quickly, or slowly crawl up a vertical face. Ramps act like launch pads, but jumping onto them and then off in one motion gives an even larger boost, and you can chain it a third time into a wall jump. They also act as lifesavers: if you fall from too great a height you’ll die, but a ramp can break this fall. Adding challenge are the various enemies and booby traps deviously placed around each stage. 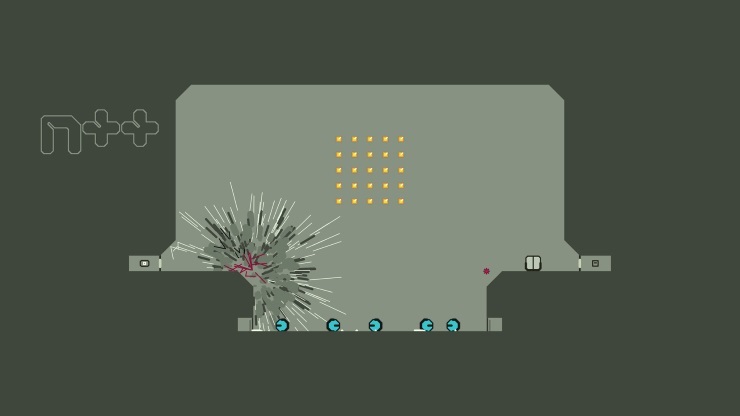 Mines block otherwise easy routes, blobs patrol essential pathways, and rockets chase you around until they kill you, or you trick them into making contact with a wall, thus giving you a second of respite. You’ll need every ounce of skill you can muster to beat each level. Trickier stages have multiple switches you must trigger before reaching the exit door, forcing you to tackle enemies again that you’ve already gotten past once, or even spawned by crossing over a certain threshold. Adding more tension is how the levels work. You have a time limit to complete each stage, which translates into an overall score, though this can be increased by collecting the gold blocks scattered around each stage. Sometimes these will be on your route, especially early on, but by the latter stages it’s a trade off between the time you save and points you’ll gain by doing so. 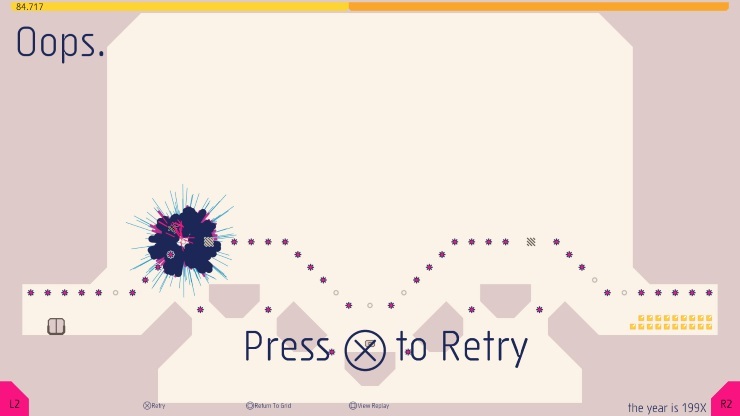 N++ is almost balletic. When you nail a stage you’re rewarded with a flowing, almost sensual experience – pulling off a tricky run always feeling like an achievement. Before that, though, you’ll get mangled horribly. Similar to Dark Souls, dying here is an important learning experience, particularly early on. You’ll plummet from great heights, catch the edge of a mine or get zapped by a laser; your little stick body ragdolling to the ground or breaking apart on impact. Happily, you’re put straight back in the action, held back only by how quickly you can hit X. This immediacy ties into the overall feel of N++, slick and flowing. It’s incredibly generous with content as well. The basic single player mode has over 1500 levels for you to devour, tackled in blocks of five (here’s a hint: go down the level lists, not along). While clearing a set of stages is enough to unlock the next one, the global leaderboard entices you to go back and do it faster and better. 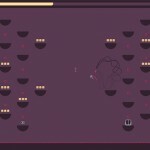 Alongside them are two local multiplayer modes, which can be tackled by up to four people. Co-op has you working through a series of especially designed stages, requiring both teamwork and noble sacrifice; often you’ll have to throw yourself on a mine so your teammate can get through. Race meanwhile has you compete against each other to clear a stage with the highest score, using the same mixture or speed and collectible grabbing found in the single-player. If you do somehow get bored of the built in levels though, Metanet has you covered, with a built in level editor that allows you to share your creations online. Then there’s how stylish it all looks. Simple colour schemes (changeable on the fly) pick out the details of each level wonderfully, with an overall crisp and clear design. The palettes themselves ranges from clean white accentuated with highlighted pink, to grungy grey with green blocks. 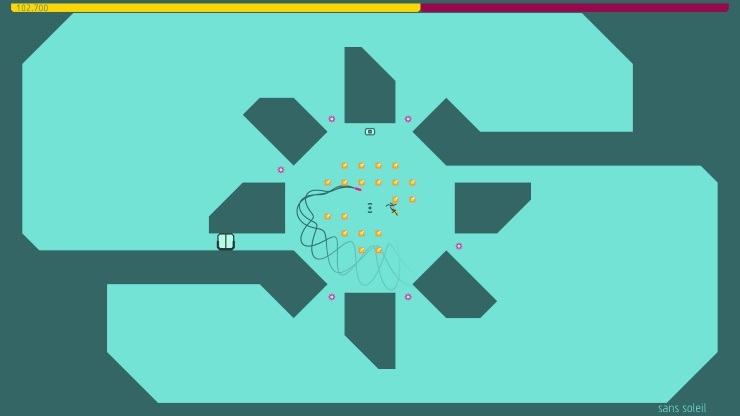 Whatever you pick though, N++ looks fantastic. Matching the visuals is the techno soundtrack. Again changeable on the fly, it suits the game perfectly. 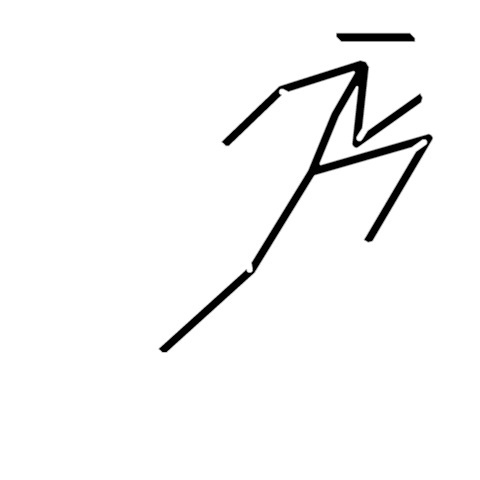 Drawbacks? 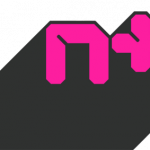 Occasionally N++ can be incredibly frustrating, with no solution to a given puzzle obvious. It’s maddening when this happens, and while you can go and try other levels, it remains a glaring mark on the stage select screen. The flip side is that you know it’s possible, and when you do manage to beat it (often by trying a completely different approach) it’s completely worth it. The lack on online multiplayer is also a shame, but hardly a deal breaker – especially when you think how large an effect even the smallest amount of latency would have on proceedings, and it’s also unfortunate that the co-op is designed for two-players, as playing with three or four disables the leaderboards. Might frustrate some due to difficulty. It's been a long time coming, but Metanet Software have delivered on stylish platforming greatness. This is a must buy for anyone who likes the genre.